Alta Vista provides source inspection for this privately funded project to construct a pedestrian overcrossing on a major tech campus. The bridge will connect two sections of the campus, crossing over a major expressway, to improve mobility and pedestrian safety. 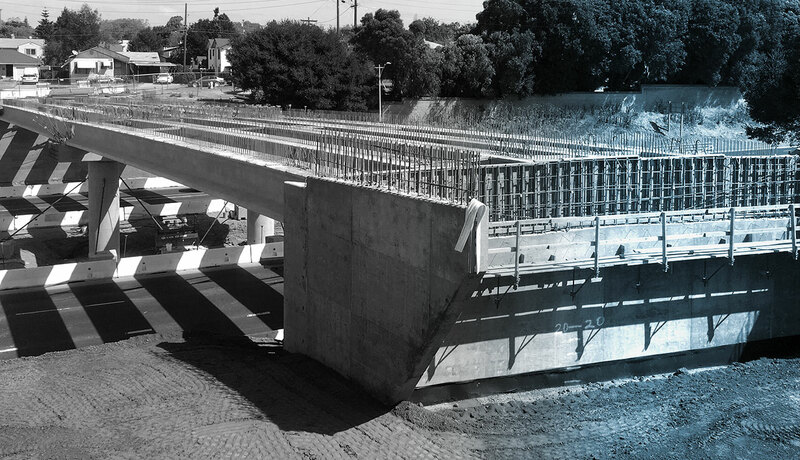 Fabricated in Arizona, the bridge’s design includes fracture-critical members, meaning that more source inspection and specialized knowledge are needed to ensure quality and reliability. While privately funded, the bridge is within Caltrans jurisdiction, meaning that both client and state specifications must be met. With an understanding of these two sets of specifications, Alta Vista is able to ensure that all sets of criteria and regulations are followed.